Who are you and how did you get involved with the GVA? My name is Ben Lindsay, and I am the editor of the Global Vodka Alliance. For the last 18 months I have been a Director at the London-based agency Garnish Communications. Garnish is a ‘drinks only’ marketing agency that was launched in 2015 by my colleague Nik. We’ve been really proud to work with some incredibly interesting products from all around the globe, and one of the biggest perks of my job is that I get to travel and meet some of the very best distillers and bartenders working in the industry today. I’ve enjoyed a very varied career to date, from managing stores for internationally renowned retail brands to assisting with hotel launches, and organising large-scale events but the biggest learning I’ve taken so far is to listen to what people are telling you. It was in meeting these bartenders and producers and hearing their stories and opinions that we recognised a need for a new organisation to push forward the vodka category, and so The Global Vodka Alliance was born. How does the GVA work? 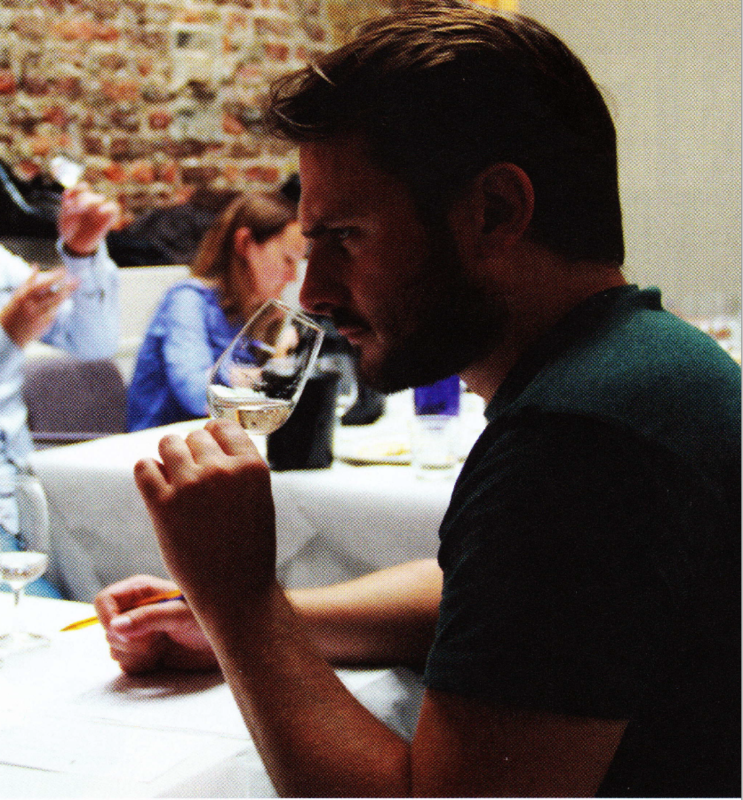 The GVA brings together producers, bartenders, retailers, experts and journalists from all over the world. With a focus on integrity, innovation and education in vodka the GVA are calling on the industry share best practises, knowledge and news/events. The mission is to give consumers a better understanding of how vodka is produced, and through this education, encourage them to try different brands/styles of vodka in new ways. We believe that this can be achieved through better classification of vodka and through producers clearly communicating their production methods, but we’re not attempting to ‘call anyone out’ or demanding that distillers share their secret recipes! Modern drinkers are more educated and discerning than ever before, and provenance is becoming increasingly important in their purchasing decisions - we want to make it easier for brands to do communicate their provenance effectively. The home of the GVA is our website, which has engaging consumer-facing education, an exhaustive vodka directory and regular news and event updates. Also, a members area, where brands can expand their profiles, champion their brand ambassadors and connect with bartenders from anywhere in the world. The members area also contains trade specific education and downloadable resources to use within their teams. How can I get involved in the GVA? We certainly aren’t going to be able to do this alone! We have a team of ‘GVA founder’ producers and experts who have provided impartial resources and knowledge to ensure we are getting this right. For example, our directory classification comes from the painstaking work of GVA founder Florian Renschin. Brands can get involved by becoming members of the GVA through our website, which comes with a whole host of benefits. We also want brands to use the GVA logo and message in their branding and marketing materials. The GVA logo will be a sign of a quality, a symbol that means this brand believes in integrity, innovation and education. The GVA will also host 2 ‘Vodka Summits’ a year, one in Europe and one in the U.S. We held our first one in London, UK at the beginning of 2017, it was a great success with some very inspiring speakers and an opportunity for open discussion. Going forwards these events will be opened up to the public for tastings also which we are very excited about. If you have something interesting to share about vodka then please get in touch! I want to hear from anyone and everyone - praise or criticism, news or opinion. If you are interested in contributing in any way to the Alliance then please send me an email or pick up the phone. What will be the biggest challenge for the GVA? The Global Vodka Alliance is the first organisation of its kind, and it relies on the combined effort of passionate people who wants to help further the vodka category. Our effectiveness is measured in the education we provide, and ultimately how vodka as a category is perceived. It’s a big challenge, and we’d be naive to think that it was going to be easy. I’ve definitely met vodka producers that have had reservations about sharing information about their production methods, but we subscribe to the notion there really is no ‘bad’ or ‘wrong’ way to make vodka, and if drinkers can better understand the reasons why a vodka is made the way it is then there will be no stigmas. Brand honesty is respected by customers. Our biggest challenge is also our biggest opportunity - work with the industry to encourage producers to provide clarity, but the rewards are there. What is your favourite way to drink vodka? The classic martini, served at my favourite vodka bar in London - The Baltic. Karol and the team there have created a truly interesting vodka list. Well worth a visit! Also neat, from the fridge not the freezer, in a chilled glass with no ice. I tend to favour potato base vodkas but that’s very much just my opinion.